On view at The New York Hall of Science is artist Rubén Ortiz Torres’s Alien Toy (La Ranfla Cósmica) (1997). 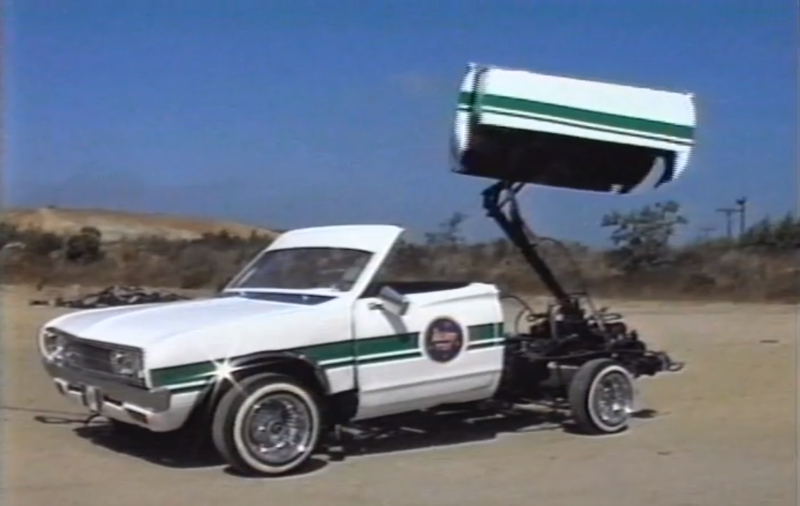 The video features a kinetic sculpture inspired by the customized aesthetics of Chicano Lowrider cars. Alien Toy uses imagery similar to popular science fiction tropes, like Star Wars and UFO sightings. The video centers around a white Nissan pickup truck, a model commonly used by U.S. Border Patrol. Alien Toy uses humor and camp to provoke serious reflection on the ways popular representational practices intersect with discourses of immigration, street culture, and science fiction. Ortiz Torres’s installation will be complemented by a weekly family activity in the NYSCI Design Lab titled “Bots and Borders.” Visitors will design and build a motorized robot that generates a drawing that you can take home! Inspired by Alien Toy, “Bots and Borders” uses robots to help you imagine new worlds, where you get to choose the borders. In the Spring, design and build a robot, place it within a selected frame, attach markers then watch your bot sketch drawings on paper. During the Summer, create a bot that generates digital light patterns under a long exposure camera. Take your sketch home with you or get a digital copy of your light pattern to post on social media! Mundos Alternos and its public programming at the Queens Museum is expanded through satellite installations and programs at partner institutions throughout New York City, including The Leslie-Lohman Museum of Gay and Lesbian Art; the Museum of the Moving Image, which will present lectures and film screening series organized by Mexico City-based scholar, Itala Schmelz; and Sugar Hill Children’s Museum of Art & Storytelling, Harlem, where a series of special programming for family audiences will be organized. Image: Rubén Ortiz Torres, Alien Toy (La Ranfla Cósmica), 1997. Video still. Collection of Tom Patchett. Courtesy of Track 16, Los Angeles.